This is a Heuer Carrera ref. 73353N. 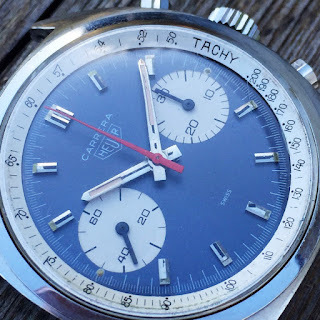 These lovely watches was for a long time underrated and could be had for a bargain price. Those days are gone. 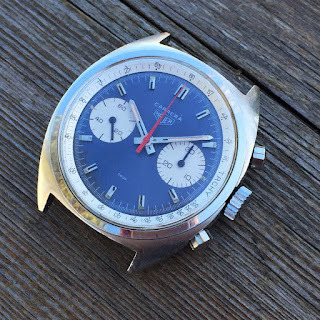 Vintage Heuer is hot as hell these days and these manual wind Carreras is no longer cheap. The 1970s manual wind Carrera was made witg three movements; Valjoux 7733 like mine, 7734 same watch with date, and finnaly the three register Valjoux 7736 movement. Two register Carreras came in steel with either blue dial or silver. Date or no date. 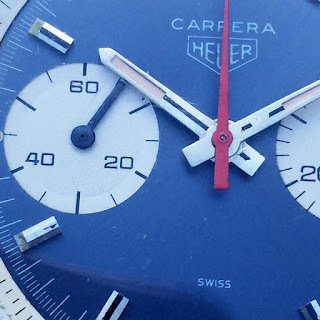 Three register Carreras came in same blue or silver dial, but no date option. A gold plated three register 7736 Carrera is also offered. Dial is either gold or silver. Gold is the more common one. The case has the same shape the automatic Carrera ref. 1153 driven by caliber 11/12. Due to a slimmer movement, the manual Carrera does not sit as high on the wrist as it's automatic sibling. 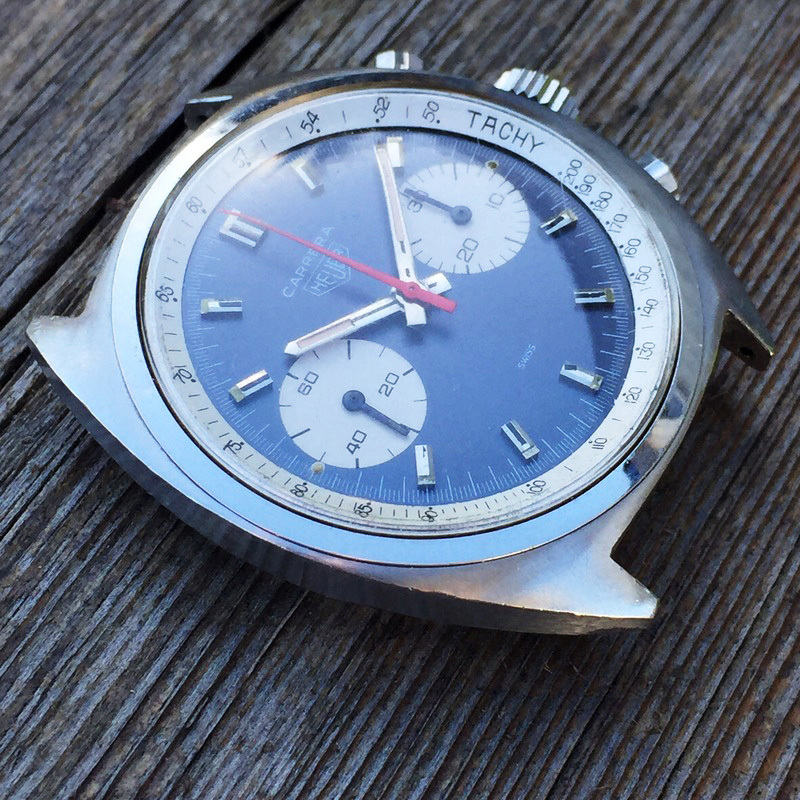 Compared to the price level on 1960s Carreras these watches is still a good buy. The only problem is how to find one for sale. If you do find one at the right price, do grab it... Before all of them is gone. ein toller Blog und tolle Uhren!